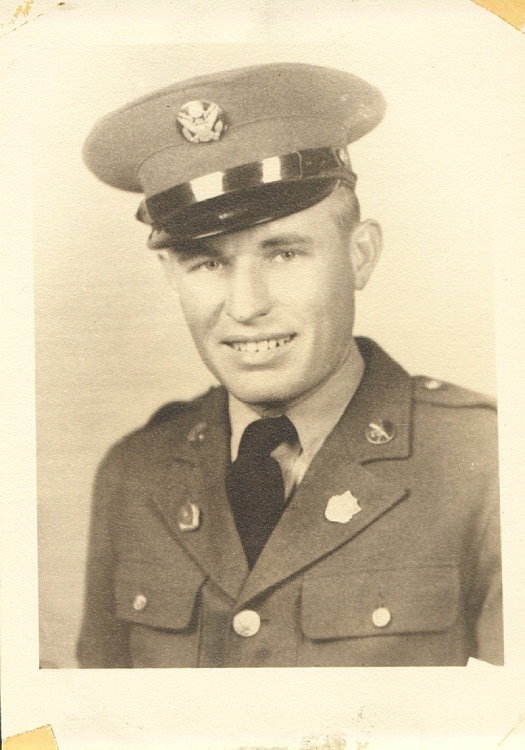 IRVAN HOMER ASHLEY – US ARMY – WORLD WAR II. He was born to: Etha Eliza Coonrod-Ashley and Harry Ashley on Nov 17, 1918 and died Jun 11, 1991. Army Entry: 12 Jun 1942 in Ind Sta Abilene, TX – Discharge: 5 Dec 1945 in Ft Sam Houston, TX. Technical Sergeant Company “E” 132nd Infantry / Also 81st Wild Cat Division. He was stationed: Southern Philippines. His awards: American Theater Campaign Medal, Victory Medal, Good Conduct Medal, Philippine Liberation Ribbon w/1 Bronze Battle Star, Asiatic Pacific Theater Ribbon w/2 Bronze Battle Stars, and 2 Overseas Service Bars. When Irvan first enlisted he was denied because he had an enlarged heart but they later accepted him. At one point during the war Irvan’s brother, Arthur Edward was shipped in as a replacement. They denied being related so they could stay in the same unit. During this time along with another sergeant they set up a moonshine still in an abandon warehouse. Arthur supplied the sugar since he was a cook. Irvan said he was shipped out before any liquor was produced and he did not mention the final results. Irvan also helped with clean up after Atom bomb was dropped in Hiroshima. This World War II Beteran is listed on the Veteran's Memorial in Graham, Young County, Texas. We thank the family for this information and picture and this veteran for his service.